Outdoor Magic Mushroom Patches, Season 2013, Ready for the Madness? 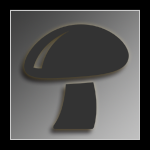 Psilocybe Azurescens 2009 -- They're Finally Here ! What is eating my outdoor cubensis? Blue oysters on Popcorn to Straw grow log: outdoors ?